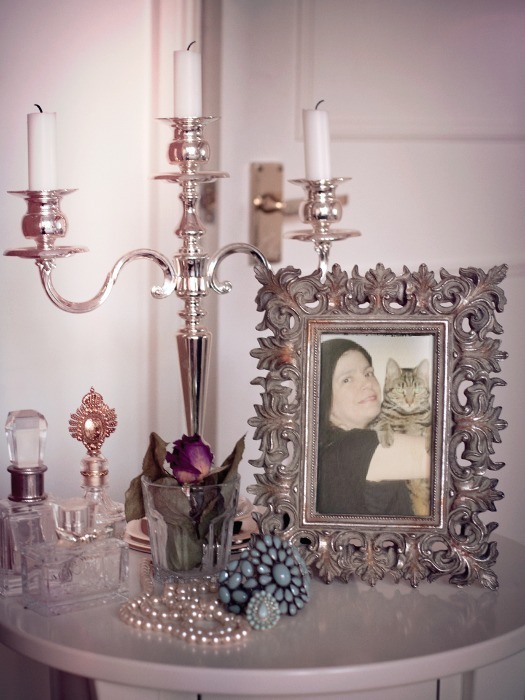 Mum was too busy to create some photo art for this week's Caturday Art Blog Hop so she cheated by using Photofunia, which she loves. Looking forward to seeing and sharing all your wonderful photo art! Whatever you do though, please do not do anything like this. Mum and I think it is disgusting and very cruel and should be banned! That link - OMC!!!! I's glad I don't get dat done to me! Re: that link - Totally perverse! Stupid humans! The only crazy stuff Glogirly does to US is in Photoshop! Kitties are very thankful for online photo editing! Sweet picture of you and Athena...Photofunia is so much FUN! Have a wonderful Caturday! We agree - stupid humans! It's awful. No human should do that to an animal. It's not art, it's animal abuse! Yes, that's the best way! It's also very easy to use for when my mum is being lazy! I can't believe humans would do that to a kitty! That's really cruel. In order to pass a law that banned dyeing of bunnies, chicks, and ducklings here in our state, legislators allowed dyeing of dogs. We are afraid that like most dog things, that probably applies to cats, too. How terrible. Like Sparkle said, we can't believe anyone would do that to their cat. We promise that the only Caturday art will be on the computer! Mom would NEVER do that to us!! That's a pretty picture effect. We don't think much of the practice of dying the cat's fur to make designs either. Both me and my humans feel sorry for the cats and dogs on that show ! Same here. TW was too busy so she used an old pimped up image. I haven’t clicked the link and don’t know if I want to. OMC! That’s the state I live in! I’m writing to someone about this! OMC at fiwst we's fawt you's wus talkin' bout da purretty foto undew da sentence. Den we's pawed da link and..... We's hate dat!!! We's seen dem dye kitty's and we's don't even like dat. God gav evew kitty a beautiful fur coat of sum kind and we's fink dey shuld be featuwed as is. Mommy wuld nevew dweam of duin' sumfin' like dis tu meez sisfur or me. You's foto is vewy purretty, as are dey all. But.....we like that picture you made. And now, we gotta go google Photofunia. We don't understand it either. If you love your pet you wouldn't want to harm it. Those people are just selfish and stupid (and cruel). How would they like it if someone did that to them? Besides, cats are beautiful as they are, unlike us humans that need to wear make-up, dye our hair, etc, to look good! There are some nasty people about! We're sure your Mom wouldn't do it to you! We've seen it and it's great! If you can, that would be great! We have to see if there is a way to stop it. Exactly. Cats are beautiful as they are, and so are all animals. Why do humans have to ruin everything?